When will be Bram & Alice next episode air date? Is Bram & Alice renewed or cancelled? Where to countdown Bram & Alice air dates? Is Bram & Alice worth watching? 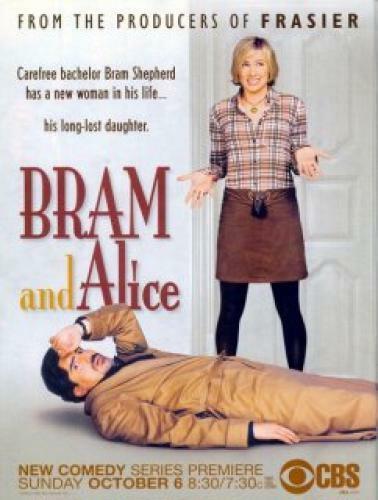 Bram Shepherd is a famous author and an incorrigible womanizer who has lived for years off of the success of one novel. Alice O'Connor is an aspiring writer who moves to New York City to fulfill her dream. She discovers that her idol Bram, is actually her father, and she sets out to establish a relationship with him. EpisoDate.com is your TV show guide to Countdown Bram & Alice Episode Air Dates and to stay in touch with Bram & Alice next episode Air Date and your others favorite TV Shows. Add the shows you like to a "Watchlist" and let the site take it from there.